Arkansas is the natural state but we have some unnatural visitors every year in late November to early March. No, not the snowbirds! 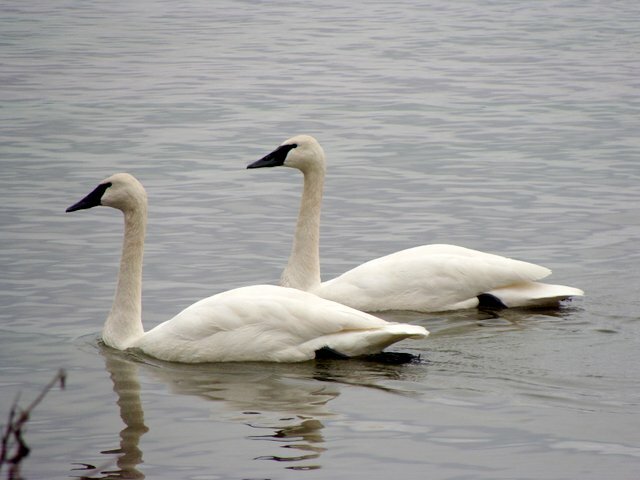 Every winter Heber Springs is chosen to be a winter vacation home for trumpeter swans. No matter how many times one visits with the swans and their friends (Chinese Wood Ducks), it is an enjoyable and relaxing outing. 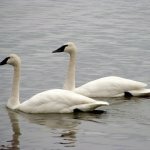 Recently, members of the Fairfield Bay Garden Club took their cameras and headed to Magness Lake to spend time with the swans. Bags of corn were provided to feed the beautiful birds and the antics of all the waterfowl while diving for the corn certainly brought a lot of smiles and laughter to all the members. A trip to Heber Springs would not be complete without t lunch at Red Apple and shopping. So as always, it was an enjoyable trip with members and guests of Fairfield Bay Garden Club. If you would like to become a member and join our group for fun and education please call Barbara Foster at 884-3802 or Dianne Percefull at 723-4045. Our next trip is to the Flower and Garden Show in Little Rock on February 20th and guests are always welcome. Marolyn Reck will be the hostess for this trip so please call her at 745-8848 for a reservation.